7. Distance between both column surface: 2700(mm). 8. 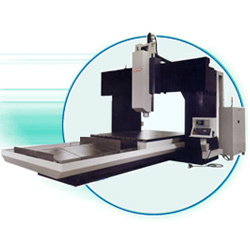 Distance between spindle end and table top: 230-1230(mm). 9. Type of tool shank: BT50. 11. double column machining centers (tom series). tools opt. opt. opt. opt. opt. opt.